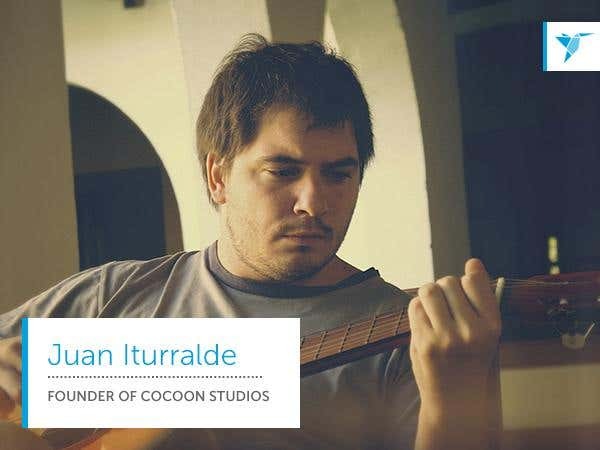 Juan Martin Porcel Iturralde worked in an international company in Argentina where he was given the opportunity to travel to different countries. He didn’t feel satisfied however, and felt like there was something missing in his career. He thought of giving up his job for his first love, music, but he wasn’t sure how to make a comfortable living out of it. Not the type to give up, Juan pursued his passion one step at a time. “I never stopped composing. I never stopped my curiosity for music,” he shared. He learned to play a lot of instruments: guitar, drums, bass, piano, and he also learned to manage every virtual instrument such as synths and electronic DAW (Logic, Ableton, Fruityloops, etc.). That was when he stumbled upon Freelancer.com. “I browsed the web looking for a way to work from my studio. I chose Freelancer.com because I think it is the biggest website for freelancing. It has a lot of projects from all around the world in several categories,” he said. A few months later, he had already gained the trust of many of his clients, and they kept coming back. He also had to employ a musician and a singer because he was already overloaded with work. “The speed of my business’ growth is so fast that I’m actually thinking of giving up my part-time job,” he said, adding that working full-time on Freelancer.com might be a great idea because his earnings were better. The more time he dedicates, the more money he would earn. Read more about Juan Martin’s experiences on Freelancer.com here. Do you want to be able to free yourself from a stressful 9-to-5 job and focus on doing what you love? Like Juan Martin, you can also work on your passion. Freelancer.com is here to assist you. Sign up now!